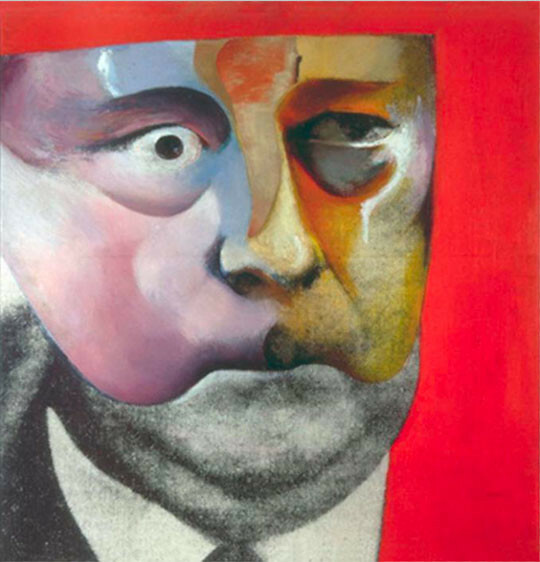 He was also one of the first artists (along with Warhol, whose work in many ways he pre-figured) to understand the increasing importance of media images in defining historical moments and in producing our sense of the world. 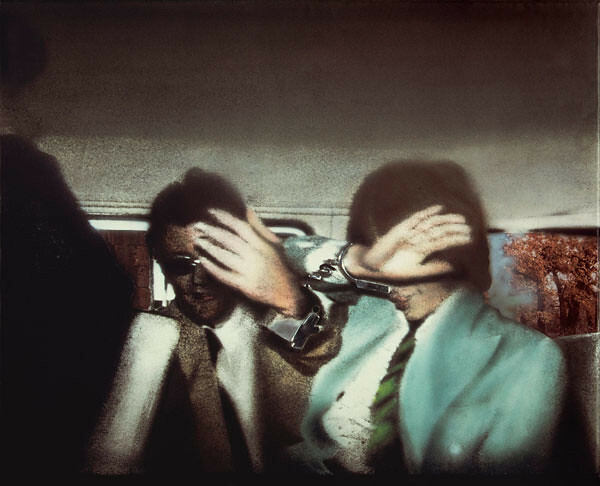 His iconic reproduction of a photograph of Mick Jagger and the art dealer Richard Fraser handcuffed in the back of a police car (Swingeing London 67) will continue to define sixties London for decades after the final Rolling Stones farewell tour. In Hamilton’s image, there is something about the smudged, bubblegum blue of Jagger’s jacket against the muted interior of the police car that captures the insouciance of the era in a way that the original black and white photograph cannot. But in reproducing the photograph, he immortalizes not only the event but also the photographic medium itself, giving testimony to the power of the camera to make visible, to make real, even if where the stories themselves are as blurred and indeterminate as the stripes on Jagger’s tie. 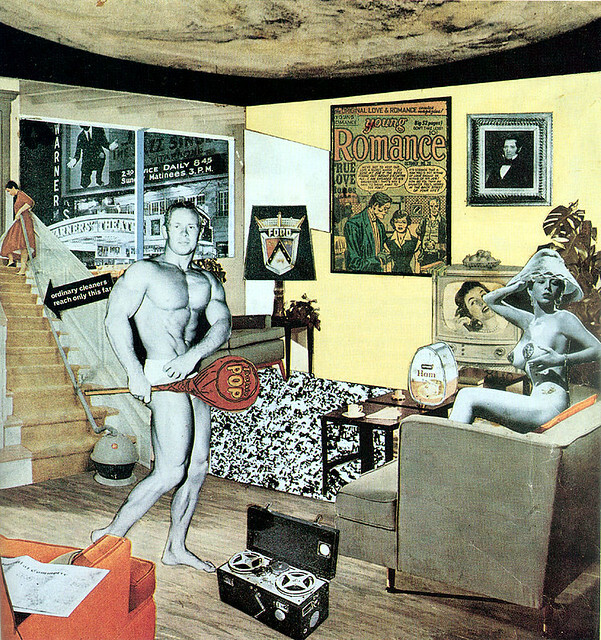 Unlike Warhol, much of Hamilton’s work was overtly political. In a 1964 image, Hugh Gaistkell, the Labour leader denounced by many on the left for reversing the party’s position on unilateral nuclear disarmament, is portrayed as a shadowy, beady-eyed phantom of the opera. It is a suggestive collision of media and significations, which hovers in the ambiguous hinterland between realism and the monster-making tendencies of the collective imagination; between the farcical and the blood-soaked. However later efforts, such as a post-Iraq Tony Blair depicted as a gun-toting cowboy, (Shock and Awe, 2007, after Warhol’s famous Elvis image) seem more straightforwardly didactic in their message and left his 2010 retrospective at the Serpentine Gallery (London) open to charges of facile politicism. Whether or not you subscribe to this assertion, few would disagree with Tate director Nicholas Serota’s description of Hamilton as "one of the most influential and distinctive artists of the postwar period." His ever-engaging contributions to the British art scene, both artistic and intellectual, shall be missed.